Place all ingredients together in a high speed blender and blend until perfectly smooth. Use it in fruit smoothies or serve it and drink it like that. Keep in a closed bottle in the fridge for up to 2-3 days. 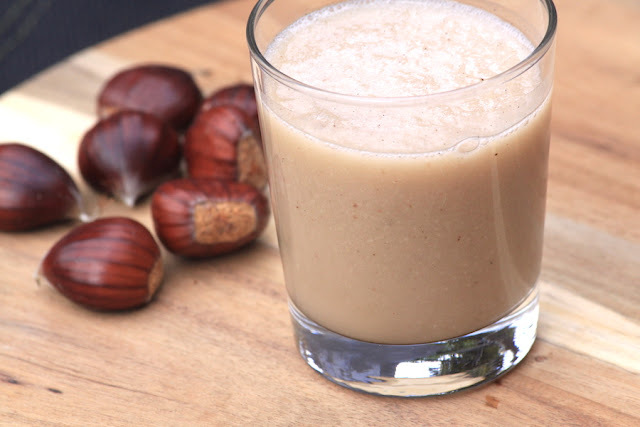 The xanthan is meant as stabiliser, to avoid the water to separate from the chestnuts. If you don't use xanthan, just shake it well before pouring it into glasses to serve.